July 18, 2018 to July 17, 2023. Activities for Purchase Orders issued in that period may extend up to one (1) year after the expiration of the BPA. The purpose of the Information System Security Officer (ISSO) Blanket Purchase Agreement (BPA) is to support the United States Agency for International Development (USAID) in providing a source for repetitive information System Security Officer (ISSO), Cyber Risk Management (CRM), and Penetration Testing services for USAID information systems in the different stages of the SDLC and NIST RMF processes. The ISSO BPA is designed to provide ISSO support for USAID information systems in different stages of the SDLC. The ISSO BPA can assist missions, bureaus and offices by providing a source for Information System Security Officer (ISSO), Cyber Risk Management (CRM), and Penetration Testing services for USAID information systems. The ISSO BPA can also support USAID to build capacity and learn from experiences in implementing CRM. The ISSO BPA is a worldwide support mechanism; it is designed to support any USAID bureau, mission or office. 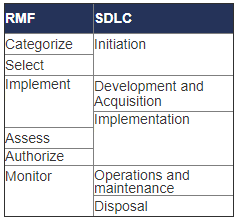 ISSO Services for Missions and Bureaus: Providing in-person and remote facilitation and technical assistance to USAID field missions and pillar and regional bureaus by performing/supporting the activities defined in the NIST RMF to obtain and maintain FISMA compliance, providing ISSO support in the different stages of the SDLC and continuous monitoring support. Cyber Risk Management (CRM) Consulting Services: Providing CRM services per Office of Management and Budget (OMB) Circular A-130, Appendix III, Security of Federal Automated Information Resources, NIST Special Publication 800-37 rev. 1, Guide for Applying the Risk Management Framework to Federal Information Systems, and USAID Automated Directives System (ADS) 545 by being a trusted advisor to SO/ISSO, reviewing the appropriate Federal guidance, performing research, and verifying and updating maturity of any documents prepared by the project teams. Penetration Testing: Providing Penetration Testing services for evaluating risks associated with operating USAID information systems that is consistent with U.S. Department of Homeland Security (DHS) services documented in the Rules of Engagement Agreement. This service will test the adequacy and effectiveness of security control measures in place to protect the security and integrity of sensitive IT systems and data. The activities under the BPA are undertaken as specified Task Orders (TOs). The BPA includes two consortia. TOs issued under the BPA will be one of the following: firm fixed-price (FFP), or time-and-materials (T&M). General information on the process for the SO’s and introduction to both contract holders. Notify Dmitriy Radchenko in M/CIO (dradchenko@usaid.gov) of your intent to procure ISSO services under this BPA, and after award to the successful vendor. Please, direct inquiries to Dmitriy Radchenko (BPA COR) and Sharon Byrd (alternate BPA COR).